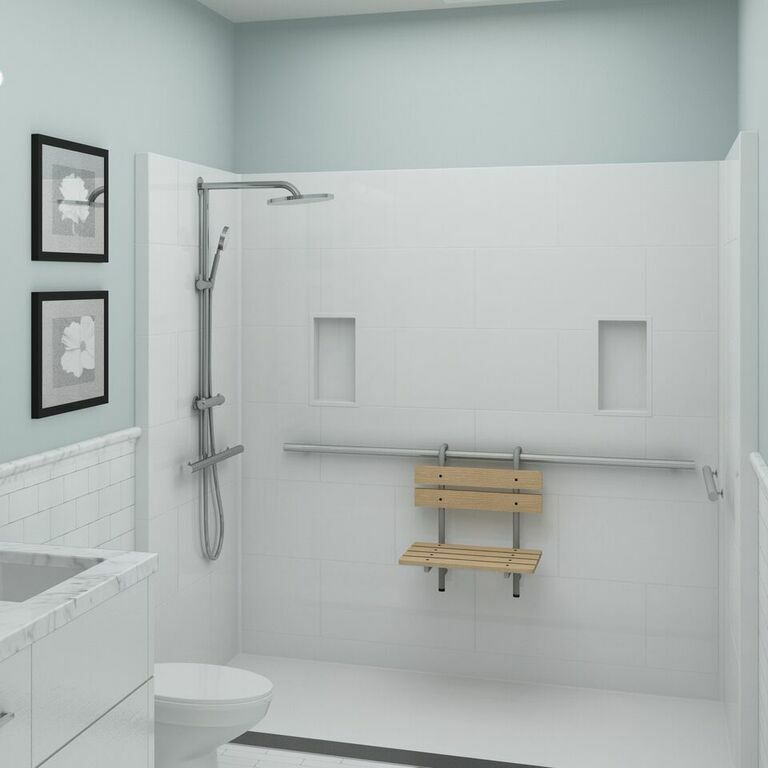 The ability to meet the Senior Care residents individual needs or desires in the selection of bathing fixtures is crucial after accounting for Code Compliant requirements. Each resident's bathing experience is impacted by, among a variety of individual needs, their taste and abilities such range of motion, strength, and sight. Asura by Comfort Designs offers bathing fixtures which enable the resident to make a significant array of choices and still have the comfort of knowing that changes can be made at a later date to accommodate changing needs in the future. Shower head/hand head combo kits are popular adaptable fixtures for the resident adaptable collection. Should the bather prefer to be seated, they will have access to the hand held shower wand. Accessory niches can be customized just as any tile application. There are two niches offered. Shown here are two 6" x 12" niches. Wall hung seats are a new option for walk in showers creating less clutter on the floor with the added security of a sturdy wall mount. Level entry trench drain design is a must for adaptable showers. The client may one day need assistance in the shower. Some accessible facilities are looking for the affordable choices. 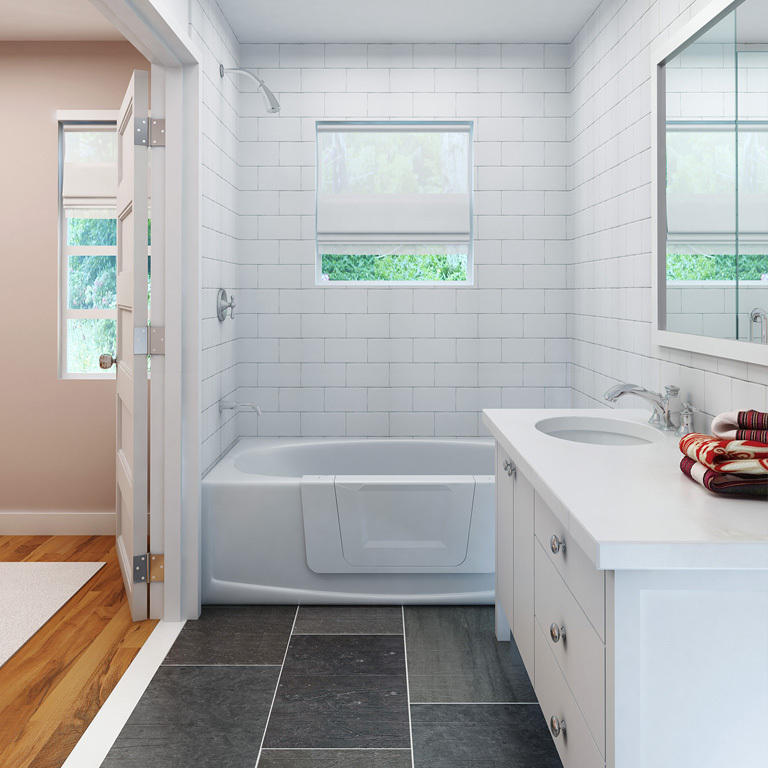 The conversion door on this porcelain over steel tub is a smart affordable choice. The bath is a desired daily pleasure and the adaptable facility resident that enjoys a bath will appreciate that choice for as long as possible. When the time is right, the resident can remove the panel and enjoy the extended use of the fixture as a shower for years to come. The bath is sacred and is a practice that dates back at least 2,000 years. It is more a pleasure than a practice and not easily let go. The entry and exit are the most dangerous part for at risk bathers. 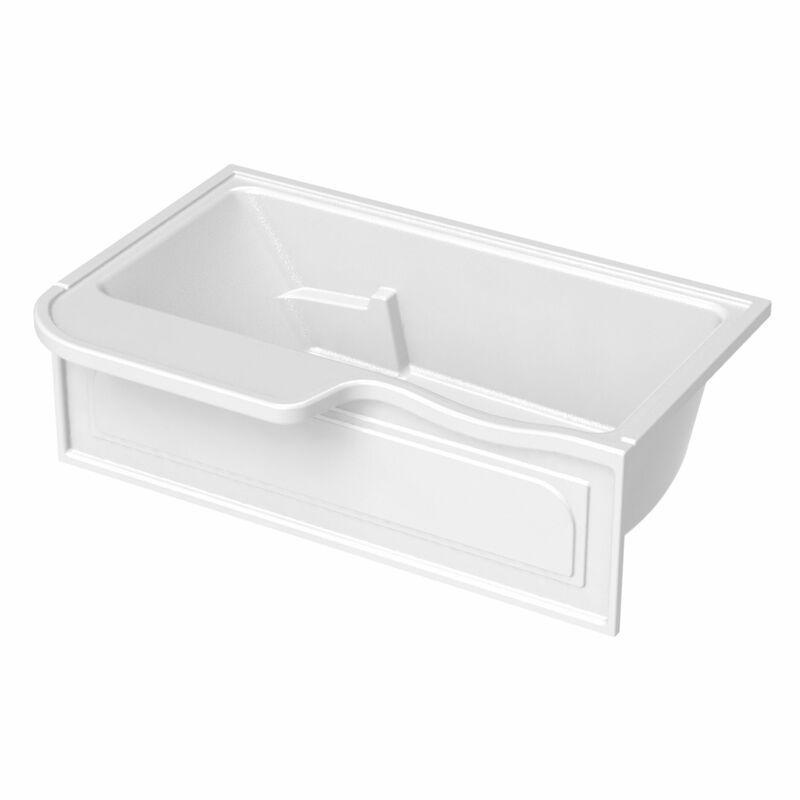 With the cantilevered seat and dropped apron, the bather can rest confidently on the tub apron and pivot over into the bath. There is a lower ledge or seat inside the bathing well to assist with the multistage transition down into the bath. Grab bars can be conveniently placed along the back wall to enhance the ease of entry and exit. The seat can be mounted on a hinge which allows it to be placed out of the way for full submersion. The seat can be ordered with a pillow on the underside as well. 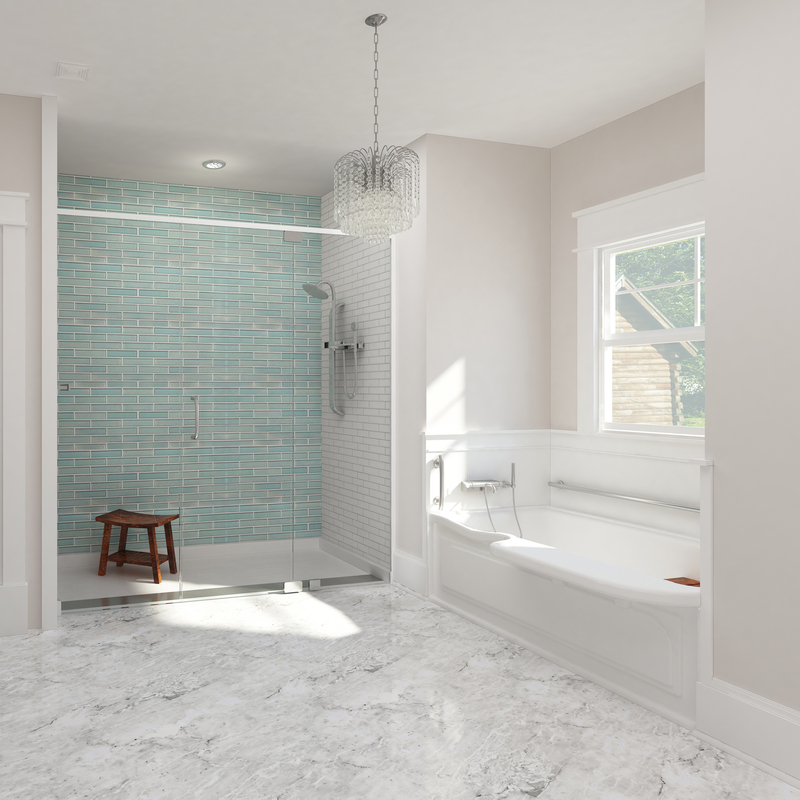 Entry point grab bars can be added if the bathing unit is tile in to double as a shower. The lower apron ledge at one end is the preferred access point when used as a shower since it is the lowest point on the apron.